As the old saying goes, “the proof of the pudding is in the eating”! With the Chas Everitt Notebook model the best proof comes from those who are currently running their own Notebooks. With this in mind we will be publishing commentary from various team members on their progress and successes monthly. Our first report comes from Shaun King, who together with Christiaan Steytler, is operating in the McGregor area. When asked for his views, Shaun had the following to say: ” Right now we are standing on 6 confirmed sales and we are expecting our 8th offer shortly! Not bad going for a new real estate office in one of the smallest villages in the Western Cape. Translated into market share, this shows that for June and July we are sitting at around 80% of the McGregor market. After a very aggressive listing campaign we now have 80 properties on our books of which 32 are Sole Mandates (40%). Chris and I have always worked well with each other. Chris has a wealth of experience and an impeccable track record. His knowledge, passion, perfectionism and years of experience is inspiring. I’m in a wonderful position to constantly learn from the best and be able to improve my own knowledge and expertise. My own financial / investing background brings forth certain strengths and adds value to our clients as well. Chris is incredibly charming and professional, and enjoys really getting to know our clients. He’s a natural. As a “combo act” our personal skills and strengths together with a commitment to a professional service delivery is a great match, makes us a successful & happy partnership which our clients respect and appreciate. Chris and I came into McGregor and started up a new office from scratch. We got stuck straight in and started canvassing and listing all the current sellers on the market. We accumulated all the sales records for McGregor and analysed the area stats to ensure we had all of the relevant market data at our fingertips. We are very fortunate as the town has embraced us and our Chas Everitt office and as a result we have an ongoing stream of buyer and seller walk-ins. 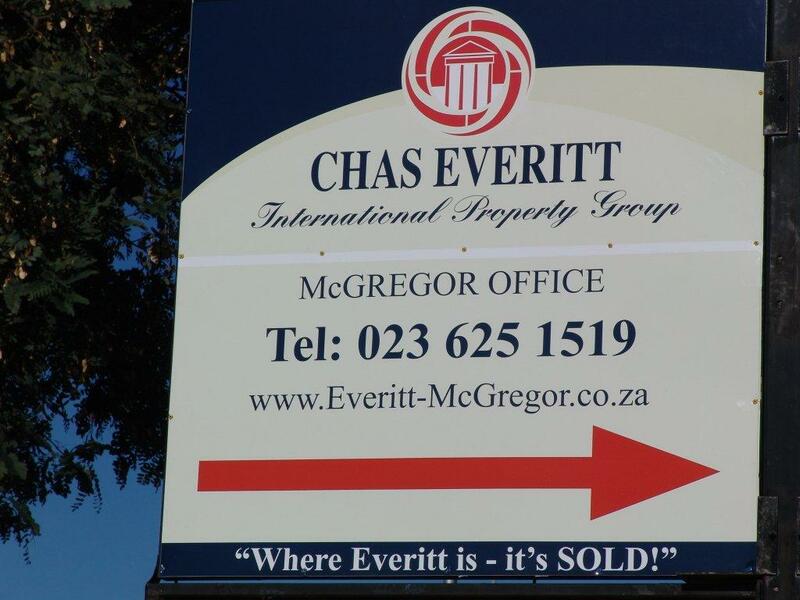 Sellers heard about “the boys from Chas Everitt McGregor” turning the real estate experience around and breathing new life into our beautiful village and are supporting us wonderfully. From a personal standpoint we are loving our new village and inviting people to come and see the serene beauty & magic that McGregor has to offer through our marketing and word of mouth advertising. I think all-in-all what is working for us is that Chris and I are fanatical about processes, order, price counselling, constantly visible marketing, always learning / adapting , being brand proud and showing our happiness & belief in this special village. We are also truly humbled that this little village has embraced us and our Chas Everitt office ” he concluded.